Paris has become the top Western target for Jihad. It can no longer be denied that France is in the throes of the global Islamic insurgency. Today, a coordinated, multifaceted attack eerily reminiscent of the 2008 Mumbai, India attack by Lashkar e Taiba, resulted in the deaths of at least 160 people. The attack involved small arms and grenades and nearly simultaneous attacks in 7 different locations around Paris. What most people do not realize is that these attacks are but the latest in a string of attacks going back to the infamous Charlie Hebdo attack 10 months ago. Everyone remembers Charlie Hebdo, but few in America realize that there have been several small-scale Jihadi incidents across France both before and after Charlie Hebdo, all of which are indicative of a revolutionary Jihadist atmosphere developing in the country. France has been targeted because it has been the most active nation fighting Jihad in recent years, effectively decimating Al Qaeda in the Islamic Maghreb in Mali and carrying out air strikes against the Islamic State in Iraq and Syria. It is absolutely imperative that the West stand with France with more than just symbolism. Now is not the time for candlelight vigils and peace rallies. Now is the time when NATO must take the threat from the Islamic State seriously. France is a NATO nation and has been attacked by a foreign power. That means that the North Atlantic Treaty must be invoked and activated. It is time for the full weight and force and the North Atlantic Alliance be brought to bear to end the caliphate once and for all–no matter what it takes to do so. The overwhelming majority of Muslims do not commit acts of violent Jihad, but that does not mean that there isn’t a doctrinal basis for it in Islamic scripture. I am not talking about just a few violent verses in the Quran. The Islamic trilogy is replete with it: the Quran, the Hadith and the Sirah. (The Hadith are traditions and stories of the life of Muhammed and the Sirah is the biography of Muhammed). Moreover, in the Quran, the principle of abrogation bestows the most violent verses with the greatest strength as compared to earlier, peaceful verses. These are facts, and if you read what the Jihadis themselves talk to each other about, EVERYTHING they do is based on contemporary interpretation of Islamic scripture. We’re not talking about a fringe element here, folks. We’re talking about entire regimes (the Ayatollahs in Iran and Taliban Afghanistan are examples) and scores of violent Jihadist organizations around the world such as, Al Qaeda, HAMAS, Hezbollah, Lashkar e Taiba, Abu Sayyef, Boko Haram, Al Shabaab, Jemaah Islamiyah, Jaish-e-Mohammed, the Muslim Brotherhood…and many more. To assign these beliefs to EVERY SINGLE Muslim of the 1.2 billion Muslims on the planet is wrong. 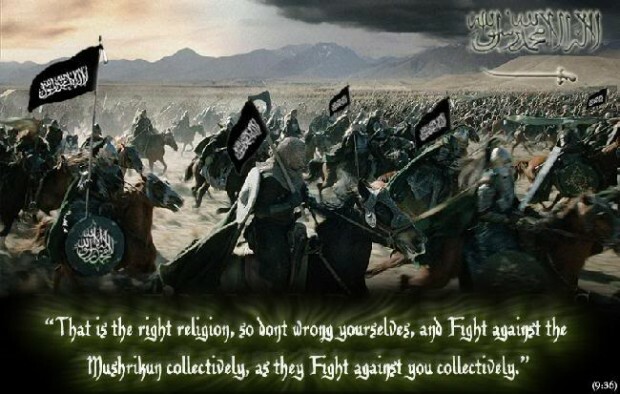 But to deny the doctrinal basis in Islam for all of this violent Jihad is just as wrong and it is preventing the West from coming to grips with the global war with which we are faced, whether we want to believe it or not. There is a reason why we see Islamic terrorist organizations as well as individual Jihadis waging violent Jihad in places as geographically diverse as Boston, Los Angeles, Fort Hood, Little Rock, New York, Washington, Buenos Aires, London, Amsterdam, Toulouse, Madrid, Moscow, Beslan, Marrakech, Algiers, Benghazi, Damascus, Beirut, Jerusalem, Tel Aviv, Haifa, Yaounde, Nairobi, Mogadishu, Timbuktu, Kaduna, Dar el Salam, Sana’a, Istanbul, Fallujah, Ramadi, Karachi, Islamabad, Kabul, Kandahar, Jalalabad, Mumbai, Amritsar, Dhaka, Hat Yai, Yala, Bali, and Mindanao. That is missing the point entirely. The fact that the majority of Muslims do not know Islamic doctrine and thus do not adhere to it is not particularly remarkable or surprising. How many Catholics are truly highly familiar with the doctrinal aspects of their faith? The fact remains that there are violent Jihadists around the world who commit acts of war and they both justify it on Islamic scripture and carry out these acts to promote Islam. The doctrinal basis is found in Islamic law, known as Shariah. The Jihadists’ goal is to impose Islamic law and Islamic law is the code which they follow. (If you are skeptical of this, go pick up a copy of the excellent work by Raymond Ibrahim, The Al Qaeda Reader, and read what the enemy writes and says.) To deny the doctrinal basis in Islam for violent Jihad is becoming more and more suicidal as a civilization with each new incident that we in turn deny. The latest example is of course in Boston. Two Jihadis, perhaps members of a Jihadist organization, or perhaps so-called “lone wolf” actors, committed atrocious acts of violent Jihad, killing several innocents and wounding many more. Despite evidence on social media and YouTube, as well as accounts of the Jihadis’ devout Islamic beliefs, the simpletons in the news media and even in our own government are pondering aloud what their motivation could possibly have been. Hours and hours of TV coverage in the so-called “mainstream” media go by with nary a mention of the word “Islam.” The elephant in the room is being ignored. 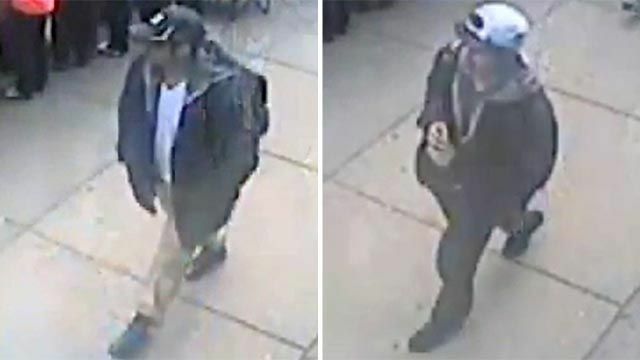 Some “experts” are quoted as taking comfort in the belief that the two Tsarnaev brothers may not have had any operational connection with any known terrorist organization, such as Al Qaeda. This is 180 degrees out from reality and these “experts” completely miss the point. • Abdulhakim Mujahid Muhammad, aka Carlos Bledsoe, apparently acting on his own after receiving terrorist training in Yemen, shot two US Army soldiers outside a Little Rock, Arkansas recruiting office, killing one, Private William Long and wounding another. • Major Nidal Malik Hasan, apparently acting on his own, after years of conversing with Al Qaeda Imam Anwar Al Awlaki, shot and killed 13 fellow US Army soldiers and wounded 39 more. These types of attacks are indicative of a revolutionary critical mass in which centralized direction and control is no longer necessary. Jihadis around the world are now waging violent Jihad in Al Qaeda-like fashion after reading web postings and listening to sermons. This presents a whole new series of challenges for security services and makes the use of military force much less effective. Infiltrating organizations such as Al Qaeda and Hezbollah has been extremely difficult. But how does one infiltrate lone wolf actors like the Tsarnaev brothers? Who does the US military go after in the wake of the Boston attacks? This new reality makes identifying and understanding the Islamic doctrinal basis of our Jihadist enemies all the more important, yet with each passing attack, we seem to be getting further and further away from doing so. Jihad has returned to France. In the past 10 days a Muslim gunman killed and wounded French soldiers, schoolchildren and other innocent civilians in cowardly attacks. The terrorist, Mohammed Merah, was killed in excellent work by France’s GIGN-RAID personnel. It is worth mentioning that the media bent over backwards to avoid labeling these attacks Jihadist terrorism. In the early days of this episode, the media, notably CNN, actually labeled the shooter a “serial killer.” A serial killer that targets soldiers and Jewish children??? Who do the media think they’re fooling? Below is a brief review of the events as reported in international media.